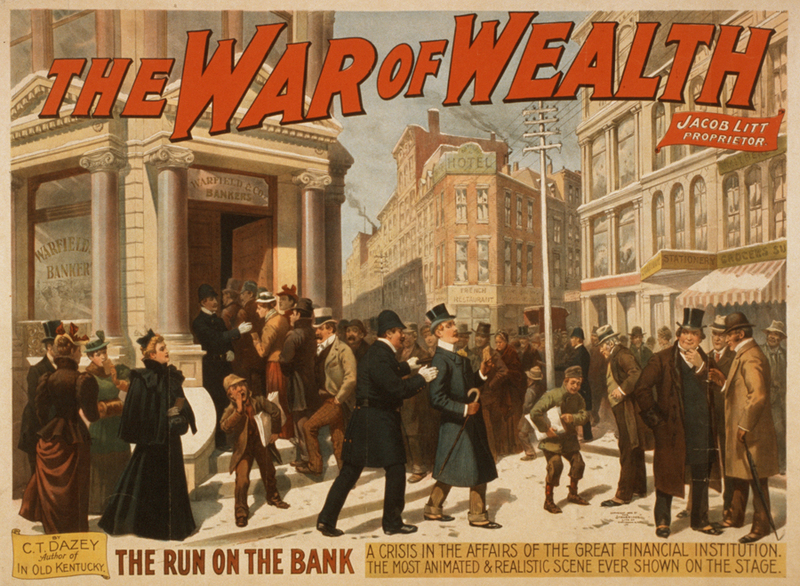 "The war of wealth." Strobridge Lith. Co., c1895. Caption: The run on the bank : a crisis in the affairs of the great financial institution. The most animated and realistic scene ever shown on the stage. By C.T. Dazey, author of In old Kentucky.